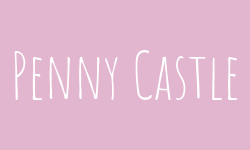 Penny Castle is on a madcap chase in pursuit of that most elusive of conditions: happiness. The only female in a household of more or less skeptical males Penny’s journey begins when a hopeful mid-career switch crumbles into disappointment. In a funk, she turns to an inspiring happiness expert she finds on TedTalks, and decides to try the strategies he suggests. All of them. It can’t harm … or can it? Her forays into meditating, journaling, running (no-one could accuse her of being athletic) and horse-riding, are all sabotaged by her very own internal critic, a tweezer-lipped character called Sally, who never fails to point out her shortcomings. In Sally’s jaundiced view, no ambition, however noble, doesn’t deserve a stab in the back. Penny’s final attempt to corner her target leads her into the realms of “acts of service”. In her case, this takes the form of a morning spent picking up dog turds in a local park. No discernible happiness results. Even her work as a “happiness coach”, while it delivers joy to her clients, doesn’t seem to do the trick for her. But all along, Penny’s been toiling away at something never mentioned by the happiness experts. Something she began, not for happiness sake, but to do her maternal duty. It’s during the hours she spends in this pursuit that she begins to feel most at ease with herself and her world. Could it be the answer she’s been seeking? This time, it’s not Sally who steps in to explode the possibility. Drought and a Biblical flood do that job very well, thank you very much. But that’s not the end of Penny’s story… or her quest. Click here to choose your store. Forward your receipt to cultivatinghappinessbook@gmail.com. We'll take a quick look at your receipt and send you your bonus. 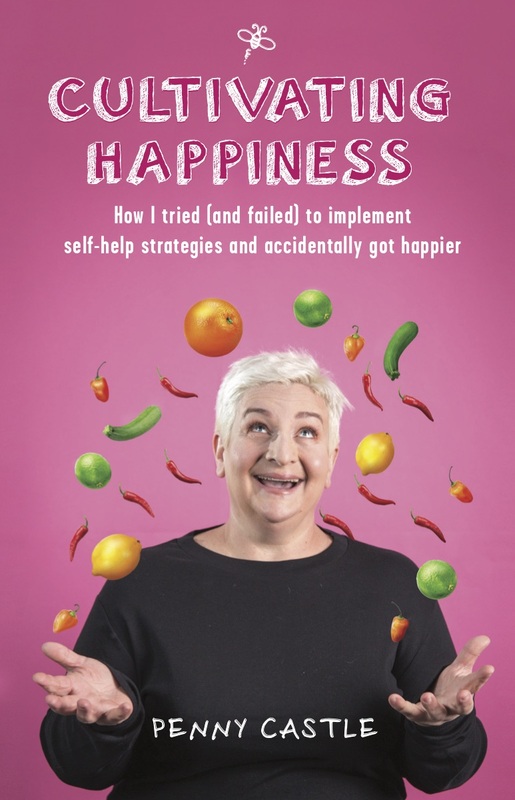 Cultivating Happiness is a hilarious memoir by Penny Castle who tries to silence her inner critic, Sally, Penny’s inner voice who is hell-bent on reminding her just how effing useless she is, especially in her quest at being ‘happy’. The author is irreverent about herself, life coaches and modern ‘zen’ practices and she had me doubled over explaining the very real and relatable anecdotes around those whom she had made a year-long commitment to helping her help herself, and eventually qualify her to help others. There are poignant moments in the book and Penny tells her story in a fast-paced, ‘unputdownable’ way that will have your family scavenging for their own meals while you devour each page until finally, you too will be thinking of creating your very own organic vegetable garden. 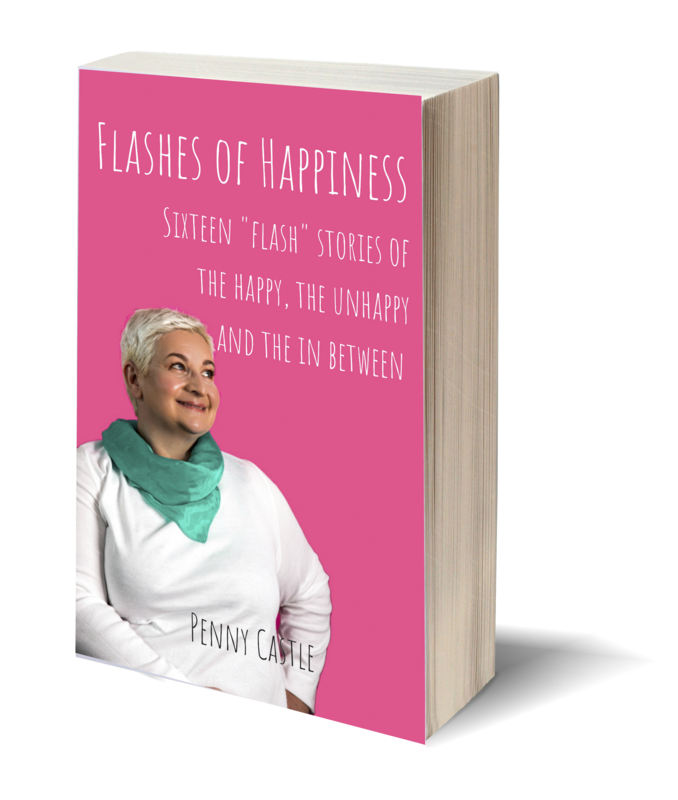 Penny Castle is an internationally accredited executive coach, a happiness consultant and the best-selling author of Cure – A Time Travel Adventure which she co-wrote with her late son, Joshua. She lives in Johannesburg, in a house she’s trying to sell, with her husband and son. She continues to subject them to unnecessary psychological experiments.